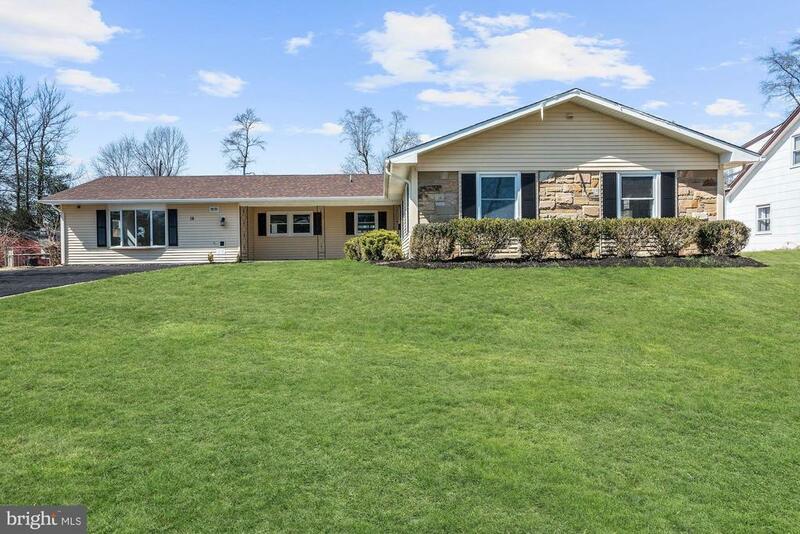 All Willingboro homes currently listed for sale in Willingboro as of 04/20/2019 are shown below. You can change the search criteria at any time by pressing the 'Change Search' button below. 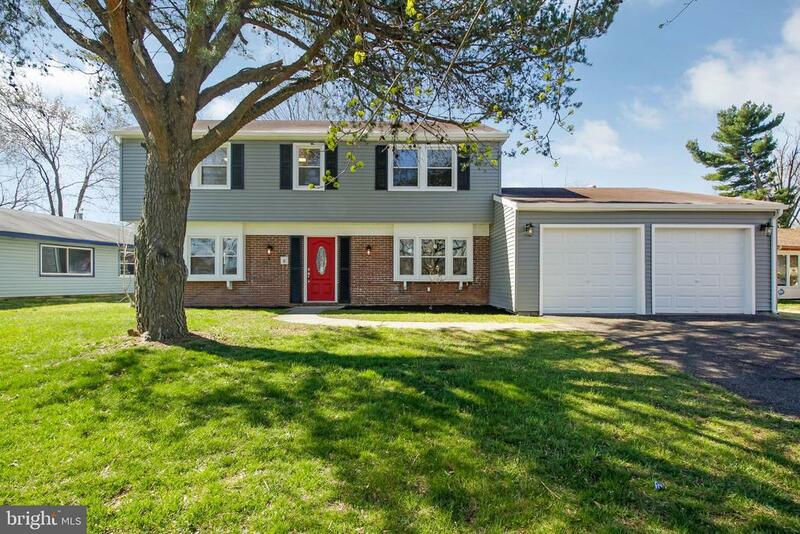 If you have any questions or you would like more information about any Willingboro homes for sale or other Willingboro real estate, please contact us and one of our knowledgeable Willingboro REALTORS® would be pleased to assist you. "Very Rare Opportunity with Major Privacy on 5.85 Acres and future income. Home and Land have great potential for Landscaper or other types of business that needs some space or just live in a serene environment. Property was a Christmas tree farm in the past and can be reapplied for farm land assessment to lower your taxes. Seller is anxious to move on to another project. Home is currently occupied by a tenant with an out clause on the lease for the seller should he sell." "property sold as is with no repairs or warranties. Cash only due to condition. Anything lower will be a short sale which is subject to bank approval. This property offers lots of potential. In ground pool, and Mill Creek park adjacent to back of property. Buyer responsible for cost and coordination of all inspections, including TCO and any transfer documents." "Your search ends here! Upon arrival you are greeted by a fresh welcoming curb appeal. As you enter into the home you're invited by neutral colors and sprawling laminate hardwood that are seen through out the entire first floor. To the left is a spacious livingroom with wood burning fireplace as the focal point. This room offers decorative molding, recessed lighting and plenty of windows for natural light. To the right is the formal dining room that will lead you past the updated half bath and into the kitchen. The kitchen boasts new shaker cabinets, gorgeous granite countertops, recessed lighting, tiled backsplash and all new black stainless steel appliances. From the kitchen you have views of the fenced rear yard and inground pool out back. Off the kitchen is a spacious den, that makes this open space ideal for entertaining. From the family room you'll have access to the full sized laundry room and the two car garage. Onto the second floor of this home, you'll find three ample sized bedrooms, and a tastefully renovated full bathroom in the hall as well as the master suite. The master is expansive, with a walk in closet and spacious master bath. The bathroom features spacious walk in shower with a rainfall shower head to set you up with your own spa-like retreat! 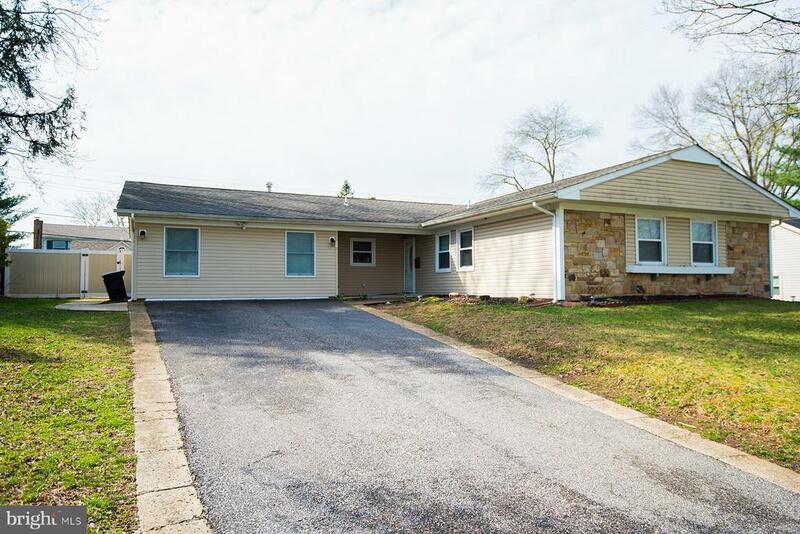 In addition to all of that this home offers new HVAC and water heater, as well as being a convenient location to major roadways and local shopping! Don't pass this one by! Make your appointment today!" 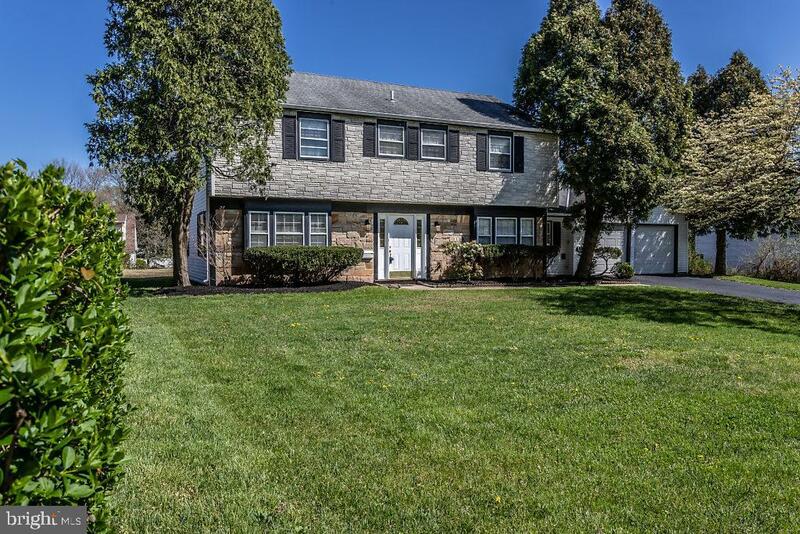 "SPACIOUS DREAM HOME - Step inside this handsome Eton colonial located in Willingboro's delightful Twin Hills Park. This spacious [2700+ sq. ft.] home is designed to accommodate your every day-to-day and entertainment needs effortlessly. The flow is open and smart with a layout that boasts a 24ft formal living room, dining room and new kitchen tastefully updated w/GRANITE counters, RECESSED LIGHTING and STAINLESS STEEL appliances. A cozy family room just off the kitchen will quickly become a family favorite for casual gatherings or elegant entertaining w/easy access to its rear patio and private yard. Rounding out the main level is a charming powder room [ideal for guests] and separate laundry w/inside access to a 2-car garage. The upper level houses 4BDRMs, including a master w/separate dressing area, WIC and private bath. A second full bath just outside the sleeping areas is perfect for the morning rush and overnight guests. 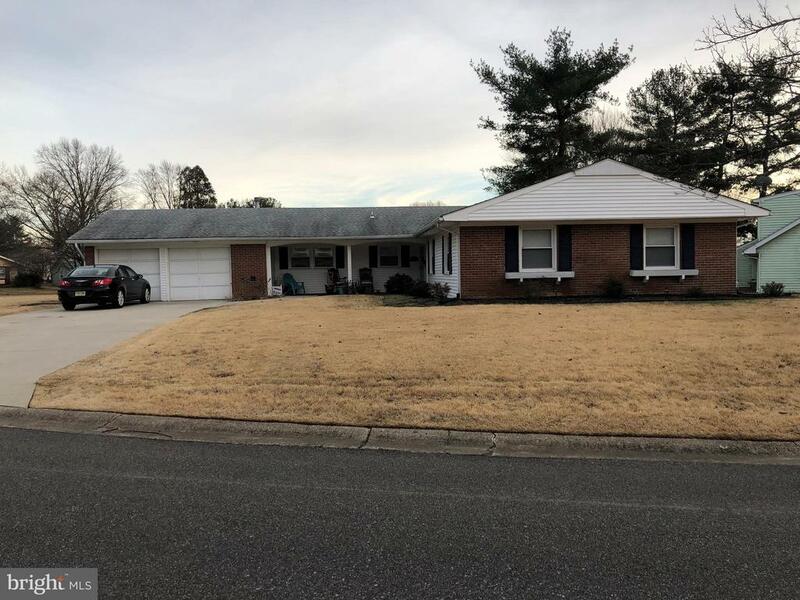 Additional features in this lovely home include new flooring, crown moldings, central air, professional landscaping, tons of closet and storage space and more! It's located on a quiet street in an amazing neighborhood and it's available for immediate occupancy. Don't delay - See it today!" 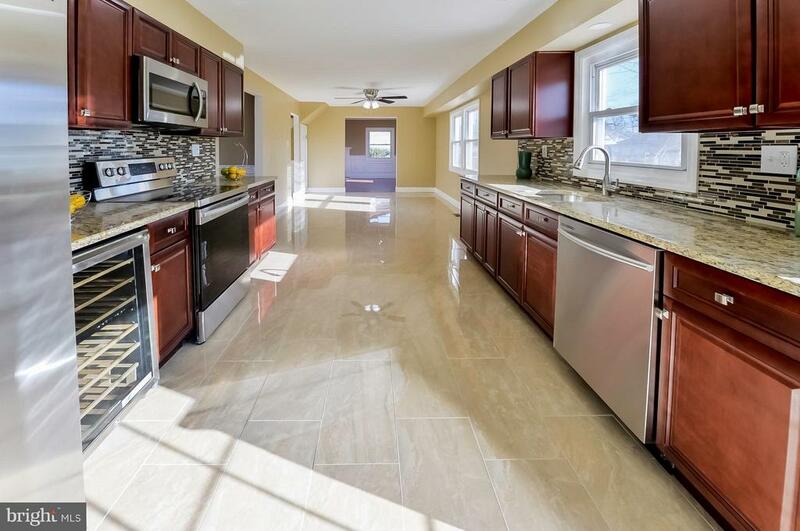 "Newley renovated spacious 3,000 square foot , four (4) bedroom 2.5 bath home in the country club section of Willingboro New Jersey. Amenities include custom Eat- In kitchen with new shaker cabinets w/ a Lazy Susan , quartz tops, upgraded 7 piece Samsung appliance package including a 5 Burner gas range with convection oven, French door refrigerator w/ ice maker, a custom hood vent and a 20 x 10 Breakfast Bar. Recessed Lighting throughout the 1st floor Master Suite which includes his and her walk-in closets with custom doors and 4-Piece bath custom tile and double sink. Exterior features include bump out addition on front , new roof, new siding, new driveway, new garage door , new sliding door with built in blinds, covered porch, new entry door with etched ,and a spacious private rear yard. 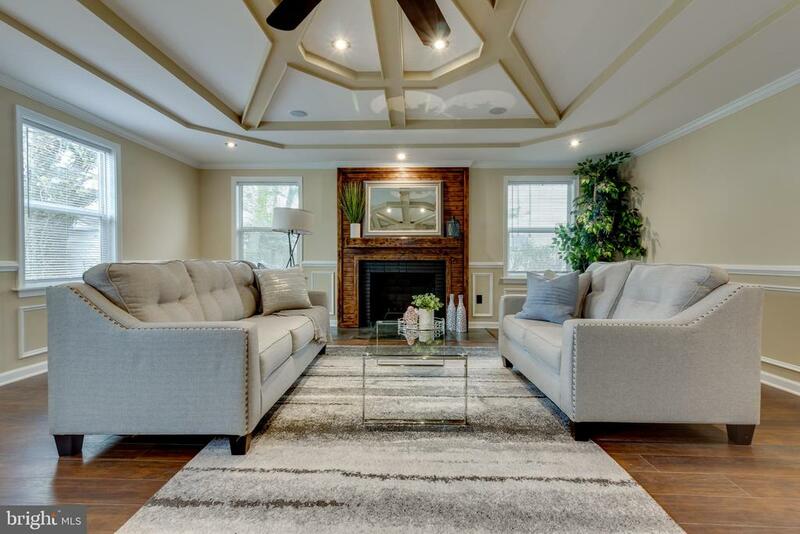 This stunning home also has a sunroom with wet bar, wood burning fireplace with custom built-ins and a granite top, new Engineered Bamboo Hardwood floors, 2 zone central air system , LED lighting and custom interior doors." "A CHOICE LOCATION AT THE RIGHT PRICE - Welcome to the Estates at High Point in Willingboro's highly sought-after Deer Park neighborhood where you will find this tastefully renewed 3BDRM, 2.5BA center hall colonial loaded with special features, including a full, finished BASEMENT, formal living and dining rooms, a stylish new eat-in KITCHEN w/solid wood cabinets, GRANITE counters, GAS RANGE and STAINLESS STEEL appliances, WOOD flooring, CROWN and TRIM MOULDING, RECESSED lighting, CA, MSTRBDRM w/private bath and WIC, ceiling fans, ample closet and storage space, and designer-inspired selections throughout. There's also a [new] slider just off the kitchen that opens nicely to a DECK and SPACIOUS rear yard w/VINYL fencing for fun-filled, peaceful and private enjoyment. The main level powder room is ideal for guests and separate laundry offers convenient access into and out of the attached 1-car GARAGE. Plus, it's bathed in soft neutrals to showcase your decorating delights and personal style. So, have a seat on your lovely front porch and relax in the tranquil beauty of homeownership at its finest! Better hurry though - it won't last!" "Move right in--Really! Just unpack your belongings and enjoy your new culdesac located home in phenomenal neighborhood. 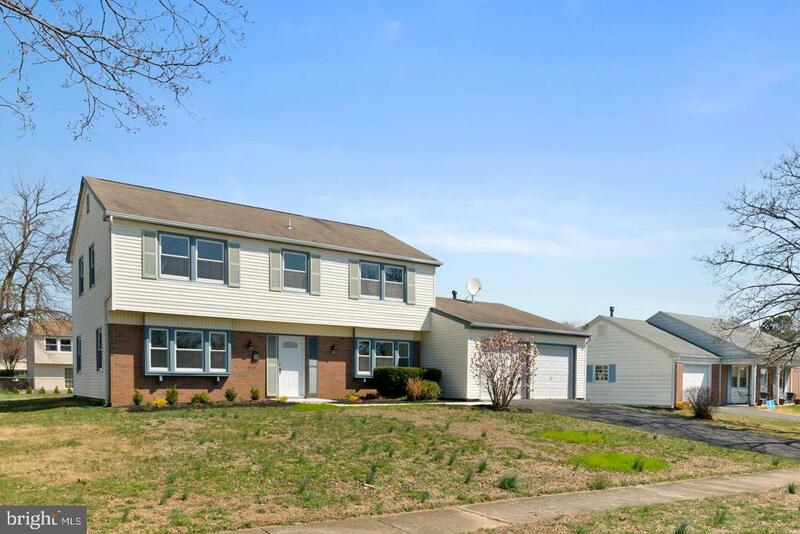 Recently Updated FIVE bedroom three full bathroom home with two car garage in Twin Hills. Freshly painted. New carpet. Fireplace in livingroom. New kitchen. New appliances. Central AC. Newer hot water heater and furnace. Beautiful yard. Parks nearby. Conveniently located near major highways. Easy commute to Philadelphia and Trenton." "Welcome Home! 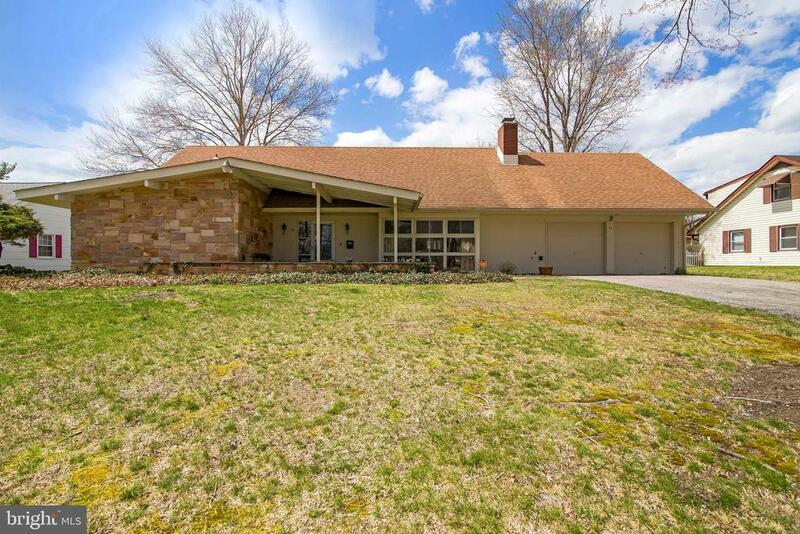 This beautifully remodeled rancher on the desirable Twin Hills neighborhood offers 4 bedrooms an 3 full bathrooms. The eat-in kitchen has granite counter tops, high-end Samsung appliances~and stylish cabinets. Enjoy family gathers sitting around the two fireplaces or in the bright sunroom. The converted garage offers extra space. If this is not enough this beauty also comes with a new roof, new heating, and air conditioning systems and new plumbing in the bathrooms. Don't wait any longer and make your appointment today!!!!" "RED CARPET- This home will make you feel like a STAR!! 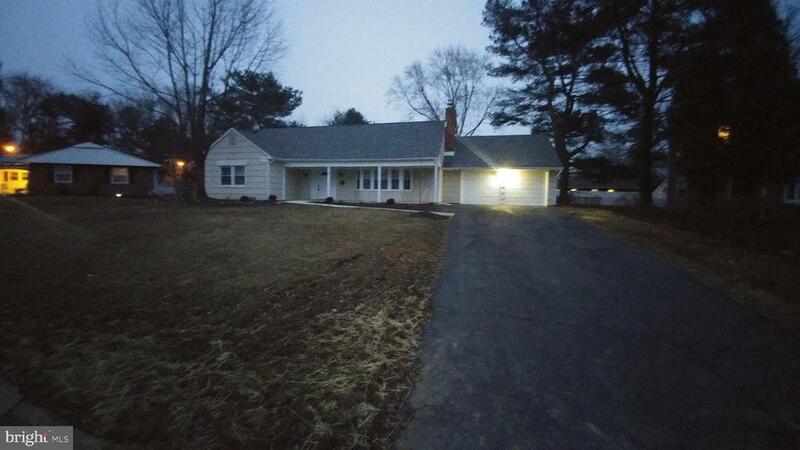 Completely renovated from top to bottom with upgrades galore. This unique center hall colonial home has special features that only you will see, so a personal tour is a must! As you enter your new home, you will notice the large open concept that flows from room to room. The living room is beautifully accented with chair rail and shadow box molding, drawing your gaze to the custom tiled fireplace for those cozy winter evenings. There are plenty of windows for natural light during the day and recessed lights for when the sun goes down. The kitchen is the heart of a home and a place for all to love. This newly extended, redesigned kitchen has extra counter space and cabinets that are designed for you to enjoy, when cooking and entertaining with friends. Two thumbs up for the full stainless steel appliance package, ceramic tiled floor and granite counter tops. The adjoining Living room has plenty of space for the flat screen on the wall and a couple of recliners to enjoy the game after dinner. For those special occasions and holidays, the formal dining room will be the center point of your entertainment. The master bedroom has a large closet, new bathroom and stand up shower, that will become your oasis-calling your name every day. In addition there are three large bedrooms with ceiling fans, a large hallway and new hallway bathroom. The home has many features including new roof, air conditioner, hot water heater, carpets, six panel doors, recessed lighting and upgraded electric, garage doors. Many more upgrades and amenities for the homeowner. There is a huge laundry room and two car garage for storage or to park your car in every night. Enjoy the spacious yard, especially the rear yard with park like setting. This home was beautifully transformed with excellent craftsmanship and love, with you in mind as a buyer who is looking for an Exceptional Home! #2019 Year of Home Ownership. 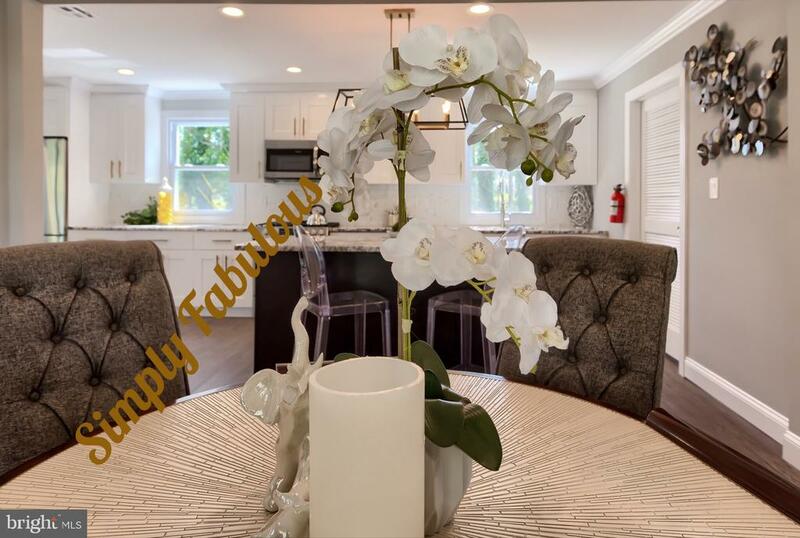 Open House Everyday Until So"
"Highly desired Framingham model is ideally located on a quiet street in the Windsor section of Willingboro. Desirable main floor master suite, second bedroom on main level can be used as bedroom or office as there are two more large bedrooms located on the second floor. Walk in attic allows for ample storage. Other features not to be missed: new kitchen, new fence, new back patio. Property being sold AS IS, inspections for informational purposes only. Seller to obtain the CO."
"Absolutely Gorgeous is what you are going to say when you see this home!!! Newly renovated throughout you won't be disappointed! Beautiful eat in kitchen with white shaker style cabinets, granite counters and stainless steel appliances. New flooring throughout. The family room is a wonderful bonus for this 2500+ square foot home. There are 4 nice sized bedrooms and two full bathrooms upstairs. This home has a new roof, new windows, new heat and air conditioning. Don't let this one get away!!!" "Totally Remodeled with Upgrades Galore! Easy to Show - Move In Ready! All High End Features!" 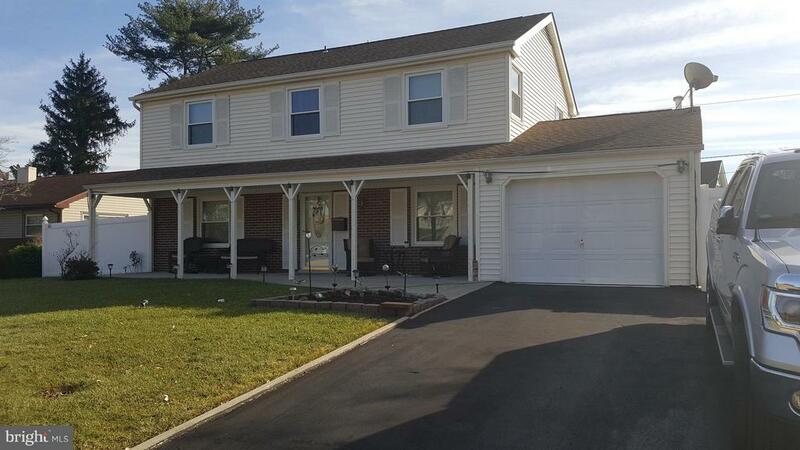 "This 3 bedroom, 2 1/2 bath colonial in Somerset Park with Central Air, has everything you need to move in and enjoy. All the upgrades for comfort was taken into consideration and now YOU reap the benefits. Let's start with the well manicured lawn, the extended driveway, the covered extended front porch, The vinyl fence, the sidewalk from the front to the rear, the deck, the newer front door that leads to the laminate wood flooring in the foyer. The upgraded window treatment throughout, laminate flooring, ceiling fans, recessed lighting, 4 season sun room, converted garage. The master bedroom has recessed lighting, has been converted from shower stall to tub, and both closets have been expanded to accommodate all your clothes and jewelry. The garage has been converted for additional den space, and there is still room for storage of your motorcycle. The kitchen is upgraded to include all energy efficient appliances. There is only one thing missing: YOU." "Room with a view! 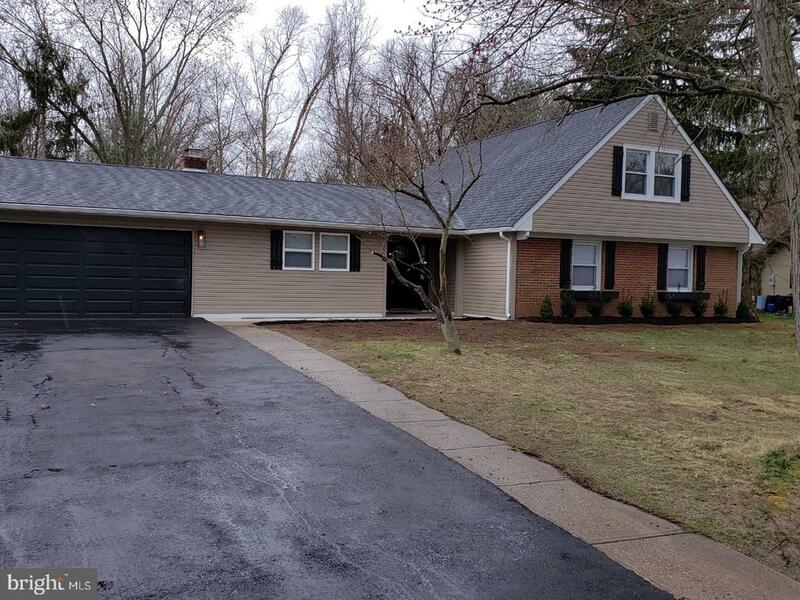 Renovations in this 4 Bedroom Colonial are fabulous and definitely a home made for living. Photographs tells the story of beautiful lighting fixtures, laminate wood flooring, open concept, granite counter tops & gorgeous bathrooms. Let me tell you what I love about this home~the view out the siding glass door in living room and the kitchen, sitting around the kitchen island having my morning coffee, the expanded kitchen counters making baking and cooking a breeze, perfect for entertaining, walk in closet in master with en-suite and garage conversion to office/family room. The sellers left nothing untouched and installed a French Drain on exterior of home." "Newly remodeled and redesigned floorpan. Offering large main bedroom, main bath and walking closet. All new wiring and plumbing. New roof and HAVC. no short cuts here. All work completed with permits." "Your search ends here! 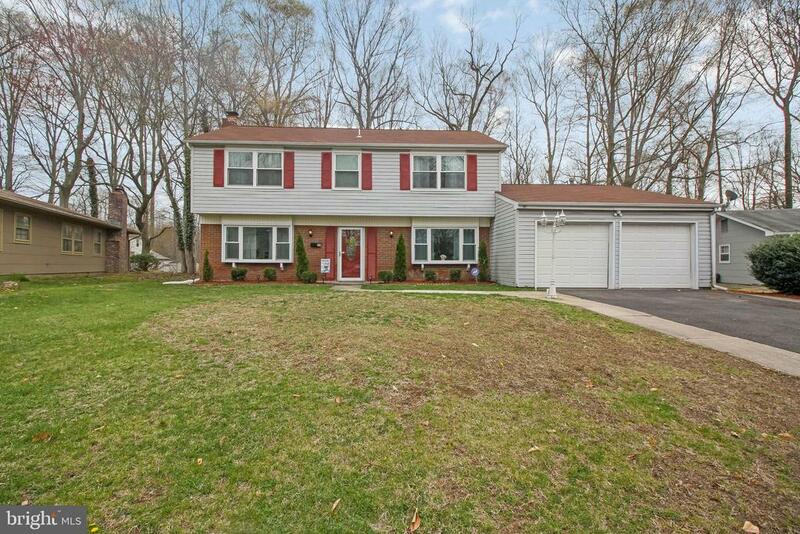 Upon arrival you are greeted by a clean and well kept curb appeal of this desirable center hall colonial. Upon entry you will find sprawling laminate hardwood through the living room, dining room and down the hall. In the hall you will find an updated half bathroom, and to the left a spacious living room with wood burning fireplace as the focal point. To the right you'll a formal diningroom that offers plenty of space for entertaining. Straight through you'll enter into the spacious eat in kitchen. The kitchen offers updated cabinetry, granite countertops and SS appliance package as well access to the enclosed porch out back. Off the kitchen is also access to the full size laundry room and the spacious bonus family room! The garage was partially converted into this amazing den, but there is still access to unfinished space for additional storage! Upstairs you'll find three spacious bedrooms with plenty of closet space, and updated full bathroom in the hall and the master suite. The master offers dual closet space as well and a personal bathroom that is also tastefully updated! Make your appointment to see this gorgeous home today!" 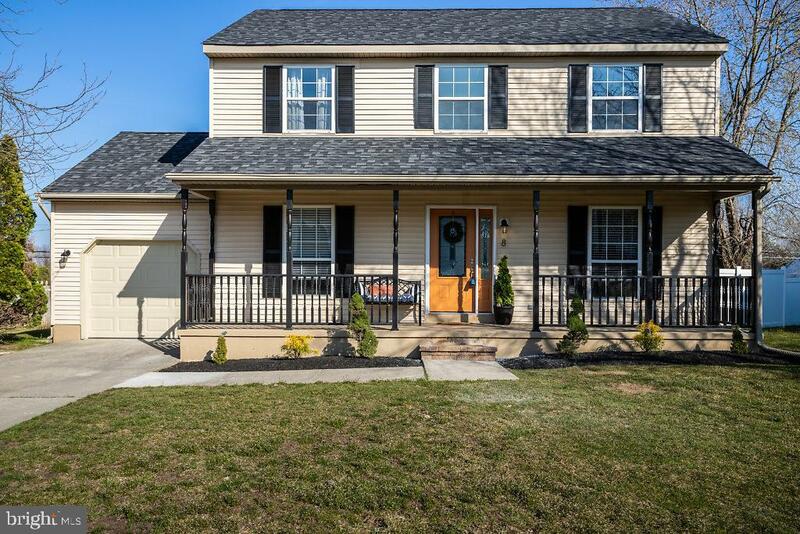 "Welcome home to this tastefully remodeled four bedroom colonial in Garfield East of Willingboro. Upon entry you are greeted by a center hall foyer that leads you straight back into the eat-in kitchen. The kitchen has been updated with new shaker cabinetry, stone countertops, tiled backsplash, recessed lighting and an all new SS appliance package. Off the kitchen is access to the full sized laundry room and two car garage. The first floor also offers a spacious family room and a formal diningroom as well as a half bath. Upstairs you'll find three bedrooms with ample closet space and an updated full bath in the hall. The master suite features dual closets and a second full bathroom with stand up shower. In addition to all of that, this home offers convenient location to shopping and major roadways! All thats left to do is to unpack your bags and move in!" "WOW! 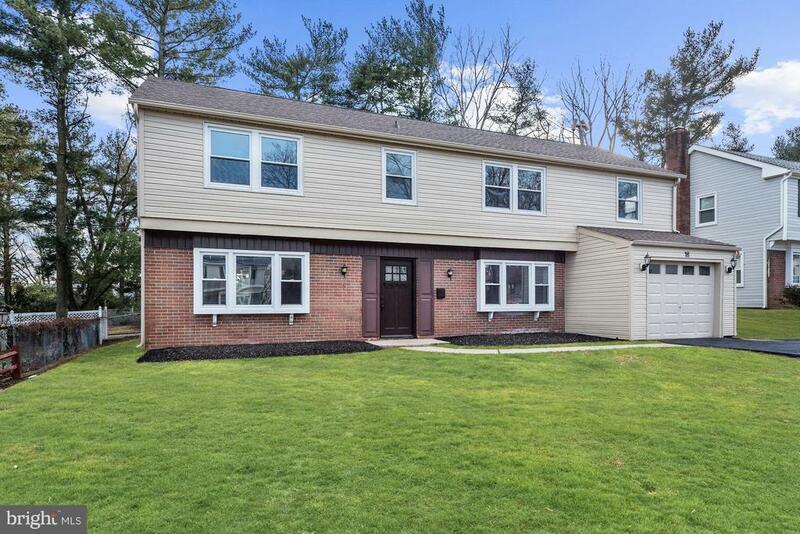 TASTEFULLY RENOVATED 5 BEDROOM COLONIAL!!! This larger than typical colonial style has been redone from top to bottom. Stunning superior quality of construction! Everything modern, nothing to do but pack your bags and move in. Featuring redone exterior, landscaping, expanded kitchen and upgraded granite peninsula, recessed lighting throughout, new HVAC system, new electric, all new bathrooms..... Just too much to comment on. Make an appointment today and see for yourself. This won't last!! Partial owner is a licensed Real Estate Agent." 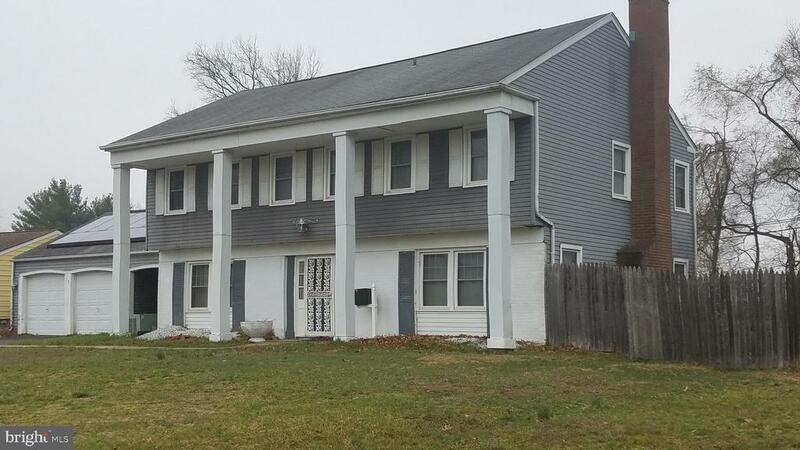 "Great Home located in the Twin Hill Park section of Willingboro. This property has energy efficient windows throughout, newer HWH(2016), and solar panels. This Jamestown Ranch has a foyer entry that opens up to the formal dining area(14x13) where entertaining can be endless. Look to your right and you will find the cozy AND inviting (formal) living room with fireplace. Look to your left, and you will see the open and spacious kitchen which boasts stainless steel appliances, granite counter tops, large island and ceramic flooring. It doesn't stop there! Property also features a family room(18x15), sunroom(21x12), laundry room and mud room. The 4 bedrooms are generous in size and all have wall to wall carpeting and neutral paint. Property is manicured and has a 2-car garage. Close to the Joint Military Base, I-295, shopping and eateries." "Spring is here- tra la, tra la. Dollar for dollar is probably the best value in New Jersey. Don't miss it. 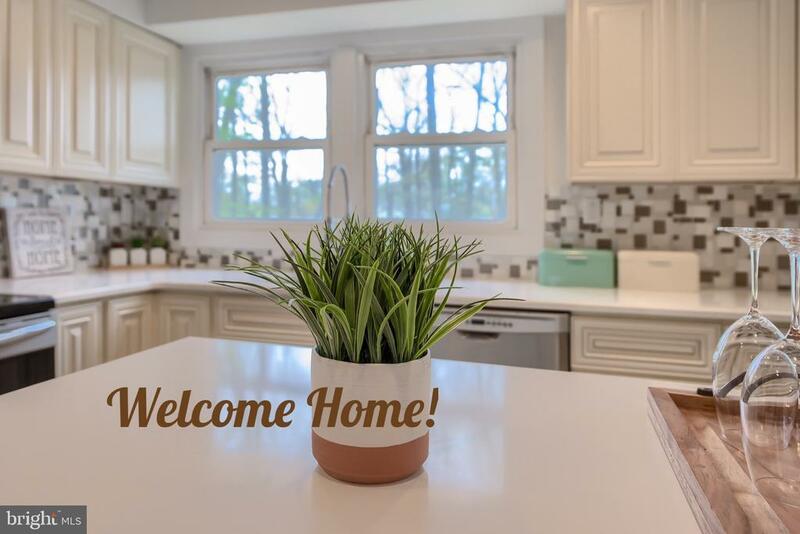 From the first time you'll step into the beautiful jungle themed living room room with the amazing water fountain, flowers, green walls and that warm fuzzy feeling, you'll fall in love with this great 4 bedroom, 2 full baths and 2 living rooms. The master bathroom has been tastefully updated, you'll never want to leave! The enclosed back porch is all ready a great playroom. New roof! New high efficiency heating & central air system! New hot water tank!The kitchen has a New refrigerator, dish washer, oven, microwave and lighting fixtures. There is even a New standing freezer! The garage had been converted into a wonderful laundry room fully equipped with brand new washer and dryer. New carpets! Seller will consider VA & FHA mortgages to qualified buyers. This means little or no monies needed for qualified VA buyers with a DD-214 and pre-approval. Call for details. Little down-payment for FHA financing (3 1/2%) with seller paying some of your closing costs. Certain restrictions apply for financing. Contact LA's for details. 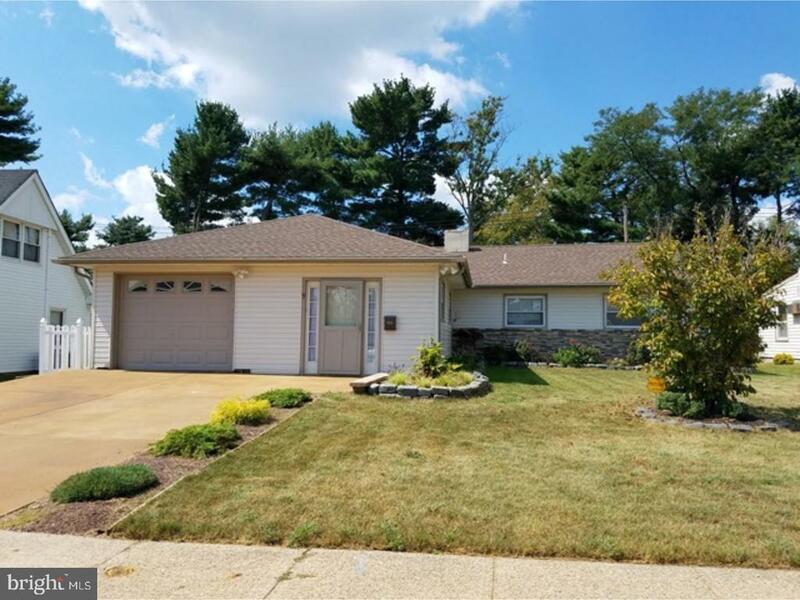 Oh yes, and we forgot the property is lined with beautiful low-maintenance landscaping and new sod planted around this outstanding rancher in the Buckingham Park section of Willingboro, NJ. Close to most bridges to PA and NJ major highways. All offers must be accompanied by a pre-approval. Two living rooms. ALL BRAND NEW APPLIANCES. ALL BRAND NEW CARPETS. BRAND NEW ROOF. BRAND NEW HIGH EFFICIENCY HOUSE HEATER & CENTRAL AIR. BRAND NEW WASHER. BRAND NEW DRYER. BRAND NEW EXTRA FREEZER. BRAND NEW DISHWASHER. BRAND NEW FRIG. BRAND NEW RANGE. BRAND NEW MICROWAVE. BRAND NEW GARAGE DOOR. CENTRAL ALARM SYSTEM & FIRE ALARM SYSTEM. Paid in advance for 6 months after closing. Your option to keep the service or drop it. You'll just fall in love with this home. 30 day closing possible. Off street parking for two cars." "Welcome home to 18 Hinsdale Lane, your search stops here! 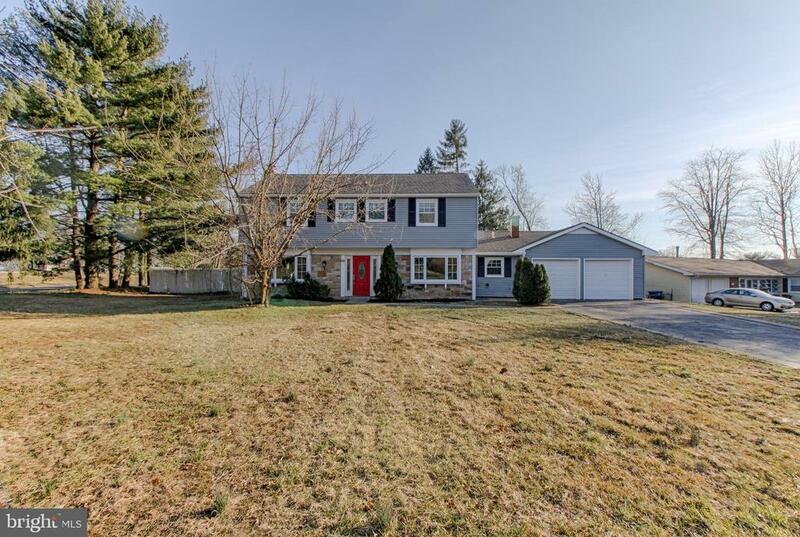 This gorgeous 6 bedroom 2.5 bath colonial boasts 2,400+ square feet of luxury living. This spacious property comes with all the upgrades you can ask for and is great for a growing family. You will find an updated kitchen with new stainless steel appliance package and dark laminate flooring throughout the downstairs. This property also has a sizable yard and an attached garage with the additional bedrooms above. This property was recently renovated and is waiting for it's new owners. This one will not last, set up your appointment today!!" "Totally rehabbed Newport Models do not hit the market often! 5 Newport Lane is ready. Walls came tumbling down to make the 1st floor open concept with the kitchen, dining room and living room. Included are the design features buyers want in a home. Recess lighting, laminate wood flooring throughout, upgraded kitchen cabinetry, kitchen island, stainless steel appliance package, gorgeous tile on the kitchen black splash and the bathrooms are beyond! Lower level of this bi-level has a 4th bedroom or office and full bathroom. The secret sauce is the large family room with wood burning fireplace. This room will become a favorite entertaining space as the patio and large backyard are right out the sliding glass doors. Enjoy summer evening on the new patio space. See it, fall in love and make an offer." 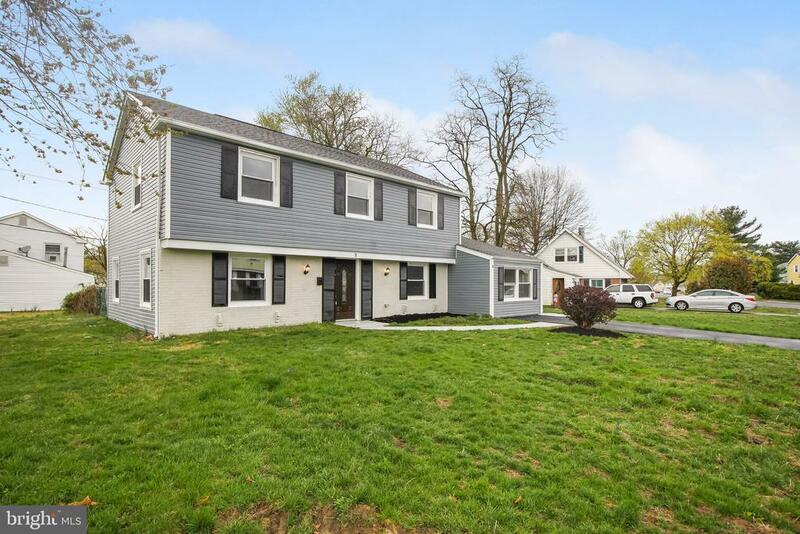 "Stop in and view this beautiful fully renovated 3 Bedroom Home located on a corner lot in the Garfield section of Willingboro. This home has been totally rehabbed from top to bottom. As you enter the home you will walk into the large Living room area with fireplace & very unique design on the ceiling. Kitchen features new gray colored soft close cabinets and new white quartz countertops. Home features a separate large family room off to the kitchen that is ideal for entertaining. 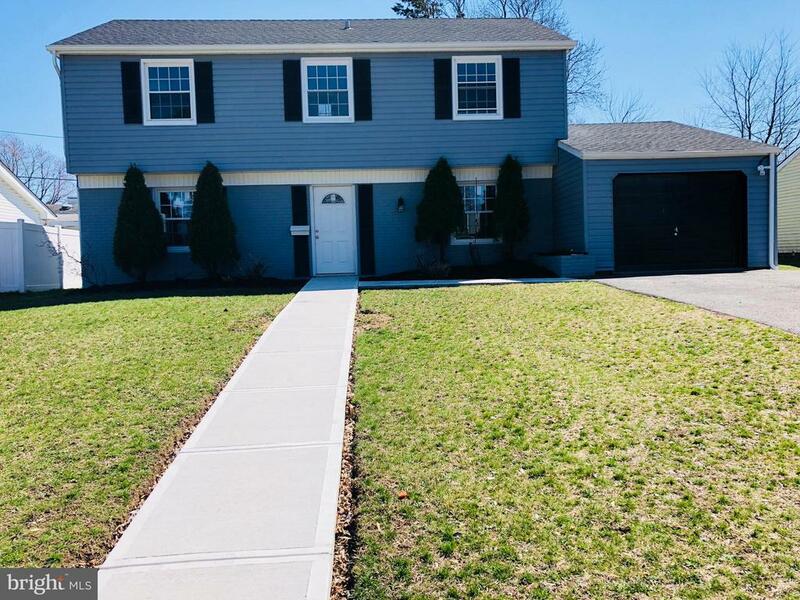 Everything in this home is NEW from appliances, roofing, siding, windows, doors, air conditioner, new plumbing and electrical, heater/hot water heater, flooring and is just awaiting a NEW owner to make this their home! Don~t delay and view this home today as it will not be on the market long."